Y ear-round Peru is open to travelers but what you wish to do can be influenced by the weather. Essentially, we can forget about the ideas of summer/ winter seasons and concentrate more on the idea of wet and dry seasons. So, when is the best time to travel to Peru? 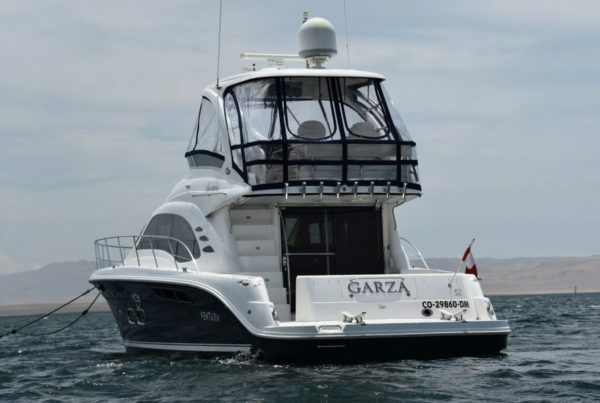 As a rule of thumb Peru has a dry season of April to September and this is the best period to visit Peru. The underfoot conditions are good for trekking and the only downside is the increased number of fellow visitors especially in July and August. The wet season lasts from October to March and sees increased rainfall which can swell rivers in the Jungle regions by up to 7 meters (23 feet), and more. Also, February sees the closing of the Inca Trail for maintenance, however one can still visit the citadel of Machu Picchu. The seasons are never exactly defined and the three regions can see considerable variations in weather. Machu Picchu lies 1,000 meters lower than Cusco and is closer to the Jungle and so has a slightly warmer and more humid climate. Even the jungle region temperatures, such as Iquitos and Tambopata in comparison, can vary considerably. Also, El Niño, a warm band of ocean water in the Pacific, can occasionally disturb the seasonal norms in Peruvian weather cycles, and may include a significant increase in temperature and rainfall. Nonetheless, each month has something different to offer those who chose to get out and about and visit the wonderful diverse land of Peru. These guidelines below will help you see the best time to travel to Peru month by month taking into account the weather and what’s on offer to come witness and experience. The weather in Lima Peru in January is dry, sunny and warm with average daily temperatures of 23ᵒC (73ᵒF) and nights a balmy 19ᵒC (67ᵒF). Occasionally temperatures can become as high as 30ᵒC (86ᵒF) by day. Note that Lima has a very high UV Index throughout the year and so protection should be worn. The weather in Cusco Peru in January is markedly different. This is the wettest month of the year for Cusco and the highlands laden with heavy cloud cover, and a hefty average of 160mm (6.3 in.) rainfall. The Amazon Jungle weather in January is at high water level with the run-off rains from the mountains. This allows deeper access by boat into the jungle but also increases the number of mosquitoes in the area. Temperatures average 27°C (81°F) in the jungle city of Iquitos. In January revelers can enjoy the Lima festival to commemorate The Adoration of The Magi (Three Wise Men) on January 6th where a procession leads to the municipality in Lima center. En-route the kings offer sweets to the thousands of onlookers and children. In the month, Cusco also celebrates the Adoration of the Magi Festival around mid-January each year in the San Blas district. In 1535 Francisco Pizarro enacted the founding of Lima as La Ciudad de Los Reyes (The City of the Kings) on January 18th. This is commemorated on January 18th by the excellent Pasacalles Parade in Lima, well worth a watch for extravagant colorful dancers and marching bands. Trujillo in the north offers a festival of the national marinera dance which combines a horse dancing paso contast. On the 3rd Thursday of January at Puno in Southern Peru The Festival of Santa Tierra at Lake Titicaca. Located on Isla Amantaní, it is played out by population split of half at the Temple of Pachamama, and the remainder at the Temple of Pachatata. It reifies the islanders’ ancient dualistic belief system in their deities. Lima Peru weather in February is baked in sunshine and warm temperatures with little or no rainfall and high humidity. Average daily temperatures are 23ᵒC (74ᵒF) with nights a balmy 20ᵒC (68ᵒF). Occasionally temperatures can become as high as 30ᵒC (86ᵒF) by day. This is the best month for swimming in Peru as sea temperatures average 23°C (73°F). February weather in Cusco and Machu Picchu Peru sees a wet month in these highlands of the Andes Mountains. This month is primarily known for the closure of the Inca Trail for annual maintenance. The citadel of Machu Picchu can still be visited via many alternate routes such as the Salkantay, Lares and one-day visits from Aguas Calientes (Machu Picchu Pueblo) also. The weather in jungle regions of the Peruvian Amazon in February are still in their wet season with high water levels. Temperatures are still about 30ᵒC (86°F) in the jungle and the high-water levels allow deeper access to the jungle canopy; a downside is less availability of areas to trek or and being wet underfoot with increased mosquito activity. February is the best time to travel to Peru and see Puno’s Virgin de la Candelaria Festivalwhich in 2018 is from February 2nd to the 18th. It has a kaleidoscope of colorful dancers and street art with strong influences from local Quechua and Aymara culture on a Catholic religious festival. The centerpiece of the Virgin de la Candelaria Festival in Puno is the La Diablada (Dance of the Demons) with its heritage coming from mining folklore of miners trapped underground who offered their souls to the Virgen de la Candelaria. The participants with zampoña pan-pipes bedecked in wondrous costumes make their offerings to the mother earth goddess of Pachamama. The spectacular parade culminates in a visit to the cemetery to offer good will to those that have passed on. February Festivals in Peru include the nationwide Peru Carnival celebrations usually about the 19th/ 20th of the month. A common thread among the nationwide festivities is the planting of a readymade tree with gifts and sweets upon which revelers lay blows from an axe to attempt to fell the tree. In the coast, the act is called cortamonte, the jungle people know it as umisha and the highland folk call it yunza. If you knock it down you keep the gifts but you must return next year and provide the new tree! March weather in Cusco and Machu Picchu Peru is considered to be in the wet season and is especially true in these highlands of the Andes. Nonetheless daytime temperatures still average 66ᵒF (18ᵒC) and nights about 41ᵒF (5ᵒC). The weather on the coast of Peru and Lima in March is still hot and essentially dry this month with temperatures of 80ᵒF (27ᵒC). The weather in March in Peru’s Jungle is still in the wet season with high water levels and high rainfall. This doesn’t preclude vacations in the Jungle, it is just a matter of being expectant of wet conditions. The March Festival in Cusco Peru on the week of 29th of March 2018 is famous Easter Week or Semana Santa celebrations. Times vary as Easter is a movable feast day from year to year. Prices for accommodation go up considerably but the celebrations can easily make up for the inconvenience. Monday begins with the energetic procession of El Senor de Los Temblores (The Lord of the Earthquakes) to mark the 1650 earthquake in Cusco. The Easter Week celebrations are also immensely popular in other cities notably Ayacucho in the Andean Highlands. In Ayacucho city in the Andes Mountains, the Easter Festival is also breathtaking with up to 300 people often being required to carry the effigy of Jesus Christ in the procession. 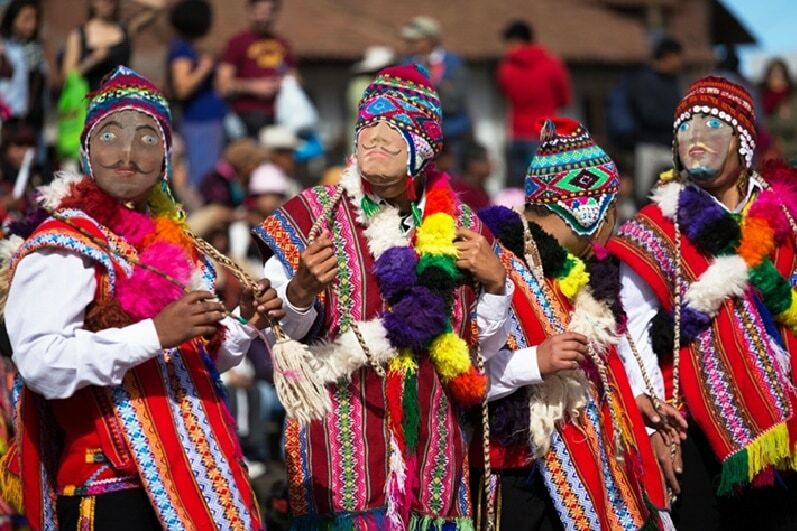 The March Festival in Cajamarca Peru is found in the valley of Porcón. It’s Easter Palm Sunday procession is a sight to behold where locals carry their intricately decorated large wooden crosses in memory of Jesus Christ. that piously commemorates Jesus’ arrival in Jerusalem. The crowds are bedecked with flowers, saintly trinkets, palm leaves and numerous mirror’s representing the souls of the dead. The Fiesta de La Vendimia (Wine Festival) in Peru and is celebrated on the second week of March in Ica on the coast of Southern Peru. There are lots of fun activities such as Afro-Peruvian music and dancing, in addition to wine stomping by a beauty queen and her maidens in time-honored tradition. All these are accompanied by locally made sweets called tejas and an abundance of local wine and brandy. April is a shoulder month and sees a change in the weather of the highlands around Cusco and Machu Picchu. Whilst there is still some precipitation this month offers much greenery and avoids the busy period for travelers; some even consider it the best time to travel to Peru to see Cusco and Machu Picchu. The weather in Lima Peru in April is beginning to cool a little from the humid heat of the past few months but still pleasant temperatures averaging 71°F (22°C). The Amazon Jungle Peru weather in April sees high water levels and the highest rainfall in Iquitos. Temperatures here can reach 32ᵒC in a very humid environment. 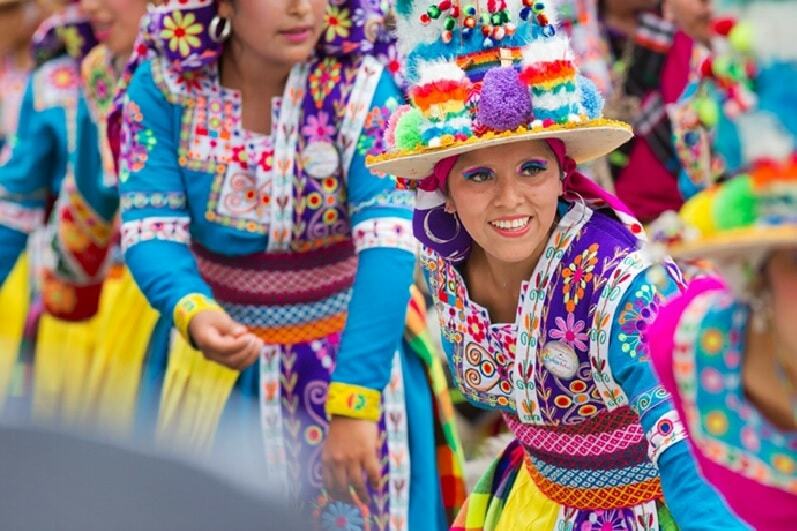 April’s festivals in Peru include The Anniversary of Chiclayo in the North the country which witnesses celebrations for a week, with beauty pageants, gastronomic indulgences, folkloric music and dancing. The April Festival in Peru of the Anniversary of Ayacucho (City of Huamanga) takes place on April 25th. The city of Ayacucho was founded by the conquistador Francisco Pizzaro in 1540 as San Juan de la Frontera de Huamanga. This name was changed in 1825 to Ayacucho by the revolutionary Simón Bolivar. The festivities include a host of cultural activities, sporting events, craft exhibitions and food tasting from the region. The weather in Cusco and Machu Picchu Peru in May averages 66ᵒF (19ᵒC) with generally dry days, and fantastic greenery, so the first really good month of the year to travel here. It is the beginning of winter but also the dry season and less crowded with tourists than the months of July and August. The nights are chilly at about 37ᵒF (3ᵒC). The Amazon Jungle Peru in May sees average daily temperatures of 86ᵒF (30ᵒC) and nights of 72ᵒF (22ᵒC). Rainfall is easing from the previous wet months but water levels are still high. The weather in Lima Peru in May is characterized by dry days, virtually no rain, and daily temperatures of 20°C (67°F) with nights about 67ᵒF *(17ᵒC). In Arequipa on May 1st the Festival of The Virgin of Chapi takes place. Many thousands embark on a walk of 28 miles (45kms) to worship their deity from the surrounding region. The walk is accompanied by singing and praying along the route which often takes 15 hours through the night. The route is marked by celebratory fireworks and food en route, and finally reaches the village of Chapi in the mountains the next day. A procession ensues on a bed of flowers for the Virgin of Chapi. This is a possibly the best time to travel to Peru and see Arequipa. Cusco and Machu Picchu weather in June sees a dry month and excellent sunshine with temperatures averaging 64ᵒC (18ᵒ) however nights are clear and cold with temperatures dropping to 32ᵒF (0ᵒC). The jungle regions such as Iquitos in June see average temperatures of 86ᵒF (30ᵒC) with high humidity and balmy nights. Be aware that on occasion in Jungle of Manu Peru the night temperatures in June can drop to 64ᵒF (18ᵒC). The weather in Lima in June is cooler at 66ᵒF (19ᵒC). The cold fog called garúa rolls in from the sea, and on many days, enshrouds the coastal districts of Miraflores, Barranco and San Isidro in a blanket of mist. In Cusco Sunday June 3rd 2018 is the date for celebrating the Corpus Christi Festival(dates vary by year). This is a colorful and traditional Catholic ceremony. The eve of Corpus Christi involves twelve typical dishes being eaten including cuy, chicha local beer and Andean breads. The spectacle is impressive with fifteen saints converging from across the province to the cathedral of Cusco to receive the eucharistic body of Christ some sixty days after his Easter death. The 24th of June is Inti Raymi Day and a huge festival in Cusco. The words Inti Raymi means Festival of the Sun in the local language of Quechua. It marks the winter solstice where participants engage in a ceremony at Sacsayhuaman above the city to encourage sun God to return from its distant aphelion. The Festival of San Juan Bautista (St. John the Baptist) falls on June 24th and is a popular festival for revelers in the Peruvian Amazon Jungle including Tingo Maria, Tambopata, Puerto Maldonado and Iquitos. This makes June the best time to travel to Peru to see the Jungle in good weather and experience their local festivities. Weather in Cusco and Machu Picchu, the month of July is characterized with little rainfall, daily highs around 64°F (18ᵒC) throughout the month, and generally clear blue skies with chilly nights of 32ᵒF (0ᵒC). 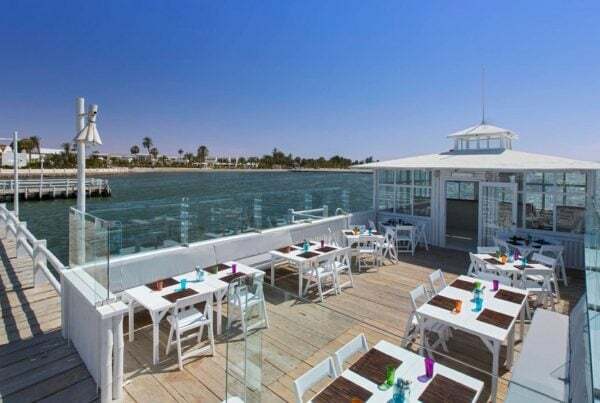 Lima Peru weather in July sees temperature daily averages of 66ᵒF (19ᵒC) and lows of 60ᵒF (15ᵒC) amid decreasing cloud cover and somewhat clearer skies. July weather in Iquitos sees day of a humid 86ᵒF (30ᵒC) and balmy nights of 71ᵒF (22ᵒC). The days of July in the jungle offer the best chance of clear skies at 63% in Iquitos. Fiesta de la Virgen del Carmen is celebrated some four hours outside Cusco in the town of Paucartambo. The saint is known locally by the indigenous population as Mamacha Carmen and she is paraded through the town to a resplendent gathering of costumed local dancers and participants. Travelers can combine this with a visit to nearby Tres Cruces to see the famed optical illusion sunrise from on high overlooking the majestic vista of Amazon cloud forest. In Lima, the same festival sees the image of the Virgen del Carmen brought from a church in the Barrios Altos neighborhood through the old streets of Lima center. The Virgen is also the patron of música criolla, adding to the festivities and music of the route. August weather in Cusco and Machu Picchu Peru is generally dry. Morning mists at Machu Picchu usually give way to clear blue skies. Temperatures in Cusco average 64ᵒF (18ᵒC) by day and 35ᵒF (2ᵒC) at night. In Lima, the weather in August is cooler as this is mid-winter and the temperatures are at their coldest here averaging 17°C (63°F) by day. August weather in Iquitos Peru sees a dry and sunny month in the jungle. Temperatures are about 89ᵒF (32ᵒC) in Iquitos, and 86ᵒF (30ᵒC) in Tambopata Reserve Southern Peru. In the capital, Santa Rosa de Lima Festival is celebrated on August 30th and also in the small village of Santa Rosa de Quives in the highlands north west of Lima Peru. Santa Rosa de Lima was the first native Peruvian saint to be canonized by the Catholic Church in 1670, and her faithful moral conduct is revered, none more so than in this her native homeland. Near Ayacucho Peru on August 20 The Qatun Yaku Raymi Festival (Big Water Festival) begins in Carmen Salcedo District Andamarca. The festival offers thanks to Pachamama, lasting a week it includes clearing of the water canals, acrobatic scissors dancers performing their Danza de las Tijeras, food stalls, and beguiling historic re-enactments. The importance of water in the high mountains is core to this festival and includes the lore of Pagapu offerings to Mother Earth (Pacha Mama) such as coca leaves, silver and jungle seeds called huayruro believed to have magical powers. These are cast forth to the mountain ancestral spirit apu in seeking clemency to stave evil spirits and bad omens for the future year water supplies. The weather in Lima Peru in September averages 67ᵒF (19ᵒC) and night time values of 60ᵒF (16ᵒC) continuing dry, but not humid, even with considerable mists coming in from the Pacific Ocean which can last all day in coastal suburbs like Miraflores. The nights can produce heavy drizzle. Cusco and Machu Picchu weather in September is characterized by sometimes scattered cloudy mornings which give way to bright blue skies. As the month progresses cloud cover increases and the likelihood of rain showers also. Typical Cusco temperatures are 64ᵒF (18ᵒC) by day and 35ᵒF (2ᵒC) at night. Weather in Iquitos and the Amazon of Peru in September sees temperatures of a humid 89ᵒF (32ᵒC) by day and 72ᵒ (22ᵒC) by night, cloud cover increases throughout the month, with a chance of a wet day being 45% by months end. The Festival of Spring is held in Trujillo Peru in September/ October each year. Many tourists converge on the city of eternal spring each year to enjoy the folkloric marinera dancers and artists as they turn the streets into a kaleidoscope of colors and entertainment. The centerpiece is the spring parade competition, organized by Lions Clubs from across Latin America, who judge the finest floats and also the beauty queen of the parade. Lima Peru weather in October is dry spring weather with daily averages of 66ᵒF (19ᵒC) and 61ᵒF (16ᵒC) by night. As the month progresses temperatures increase by a few degrees as summer approaches. Weather in Cusco and Machu Picchu in October sees an increasing chance of rain and cloud cover as it’s a shoulder month. Daily temperatures average 68ᵒF (20ᵒC) and nights of 41ᵒF (5ᵒC). Weather in Iquitos Peru in October sees both rainfall and cloud cover increase in the jungle region. Temperatures are typically ranging from 73°F (23ᵒC) to a humid 89°F(32ᵒC). Since 2008 the huge annual Lima Mistura Food Festival has grown one of the largest in Latin America. 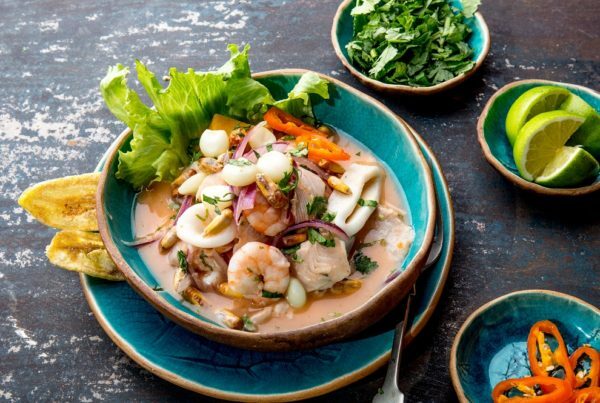 It takes place from October 26th– November 5th 2017 and is an amazing chance to savor the flavors of Peru’s globally renowned cuisine. Here at Mistura Lima in the Rimac district you can explore hundreds of restaurants, bars and food vendors gathered here from across the nation. Take time to savor local Pisco vintages, quinoa breads, organic Peruvian coffee, Amazonian chocolate and a dazzling array of fresh fruits. Ten days is not enough to see all that’s on display. I live in Lima and think October is the best time to travel to Peru to discover Lima’s culinary delights at Mistura. The November weather in Lima Peru sees an increase in temperatures from 62ᵒF (16ᵒC) to 72ᵒF (22ᵒF) and a cloudy but pleasant travelling month with little or no rainfall. The weather in Cusco Peru and Machu Picchu in November sees an increased chance of rain and mid-November sees the start of the wet season. The likelihood of rain increases from 15% to 45% this month. Temperatures in Cusco average 65ᵒF (18ᵒC) by day and 43ᵒF(6ᵒC) by night. The November weather in Iquitos sees temperatures continue at 73°F (23ᵒC) by night to a humid 89°F(32ᵒC) by day. Increasing rainfall is prevalent at the onset of the rainy season. The beginning of sierra (high mountain) the wet season which sees frequent heavy showers, often in the afternoon. Festivals in Peru in November include All Saints Day and All Souls Day take place at the start of November, honoring both saints and the dead, it sees candle-lit vigils at cemeteries and traditional Andean feasting. 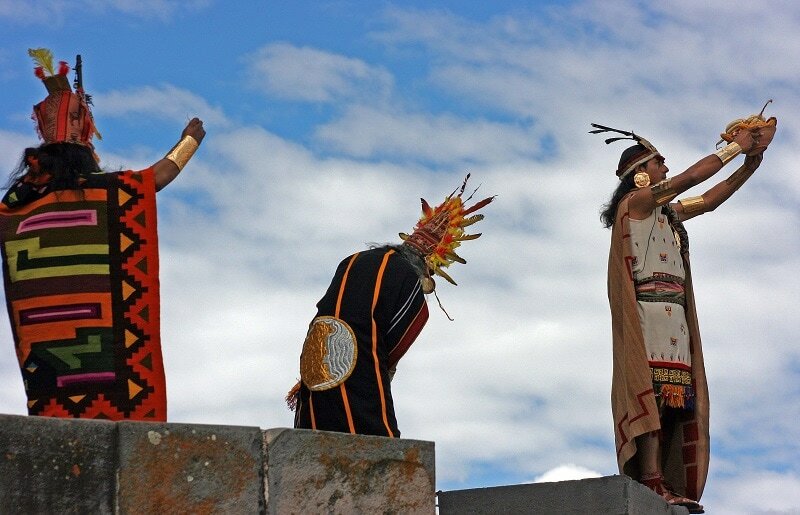 Puno Festival Week in November is a great celebration of folkloric festivities, and on November 5th you can see Incan leaders Manco Capac and Mama Ocllo emerge from Lake Titicaca and lay claim to the new lands of their empire. Piura in the north holds the Festival of The Lord of the Miracles of San Clemente around November 23rd. You can witness dazzling religious parades, folkloric marinera dancing and music. These are in addition to beauty contests, bullfighting and even off-road motor biking, so something for all tastes to enjoy. The December weather in Lima Peru is characterized by increasing temperatures to 77ᵒF (25ᵒC) and lows of 66 (19ᵒC) by night. Humidity increases as the month progresses and there is increasing cloud cover but little or no rain. The sea mist (garúa) still affects coastal districts on a regular basis especially so in the early morning. Cusco and Machu Picchu weather in December, unlike Lima, sees temperatures falling as the month passes to 63ᵒF (17ᵒC) and 44ᵒF (7ᵒC) by months end. Cloud cover is increasing and also the risk of rain to 50% by December 31st. The December weather in Iquitos sees temperatures continue at 73°F (23ᵒC) by night to a humid 88°F (31ᵒC) by day. Rainfall risk is at a slowly increasing 54%, under skies with an 80% chance of cloud cover. The week of December 2nd to 9th is the time of the festival of The Battle of Ayacuchocentered about the town of Quinua , Ayacucho. The festival commemorates a key battle of independence in Peru’s history against the Spanish colonial forces in 1824. The battle site is a short 10 min walk from Quinua center and holds an impressive 40m high obelisk. A week of fun and feasting is assured for all. Christmas is celebrated in Cusco, with Santikuraray (The Selling of the Saints) market which takes place in Plaza de Armas Cusco on the 24th of December. It’s a Peruvian take on Christmas markets and a fun day out. The Andean people create some wonderful displays of nativity scenes with intricately constructed offerings. In the highlands the festival continues until January 6th and culminates on that day by gifts being exchanged on the Epiphany of The Three Wise Men. Whatever month you choose to visit Peru this diverse land always has something beguiling, intriguing and fun to offer the visitor. Come and see for yourself, contact the Luxury Peru Travel experts. There are no strangers here just friends yet to meet.